I am looking for a Art Direction/ Design position in Marketing for an English speaking Company. Here is resume and take a look at my online portfolio. 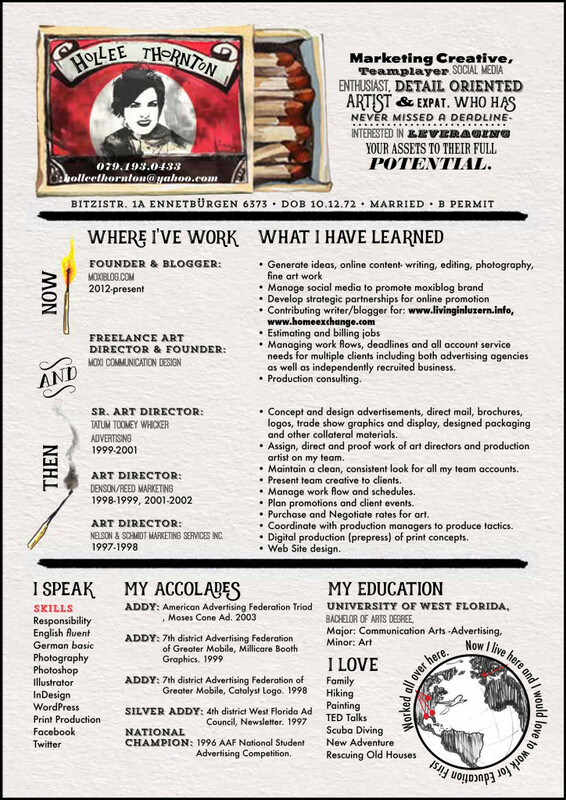 This entry was posted in HIRE ME and tagged Art Director, Blogger, Designer, Hollee Thornton, Jobseeker, Portfolio, Resume. Bookmark the permalink.